The latest Friends of Gettysburg Volunteer Workday occurred last Saturday, June 5th. 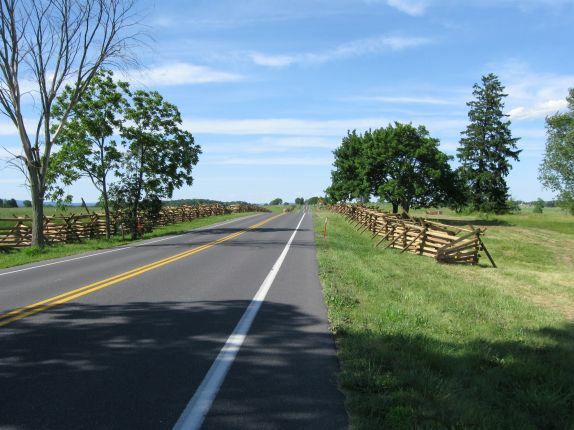 Here are some of the fences constructed along the Emmitsburg Road. This view was taken facing northeast at approximately 4:45 PM on Tuesday, June 8, 2010. 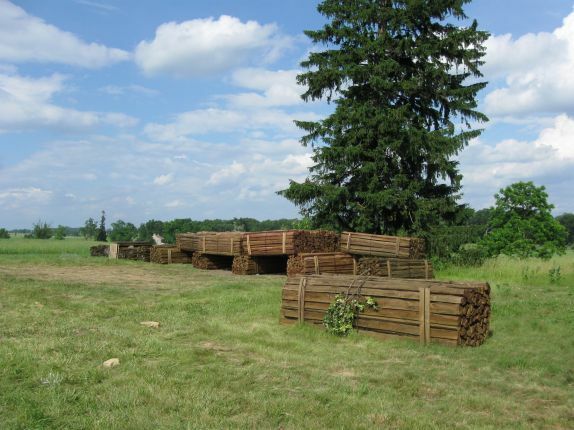 One of the most visible contributions to the Gettysburg National Military Park by the Friends of Gettysburg is their Volunteer Workday. 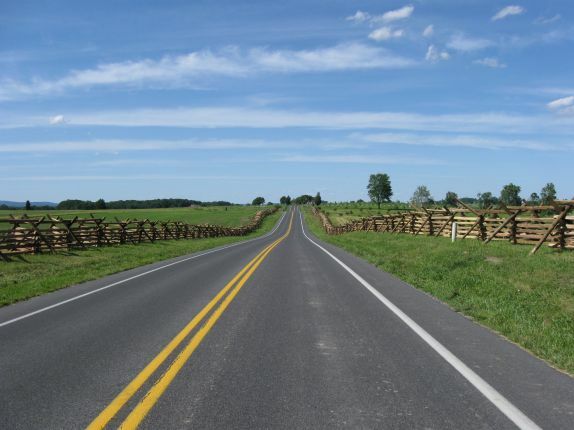 This Saturday, many fences were constructed around the Emmitsburg Road, the Rose Farm, and the Bushman Farm. 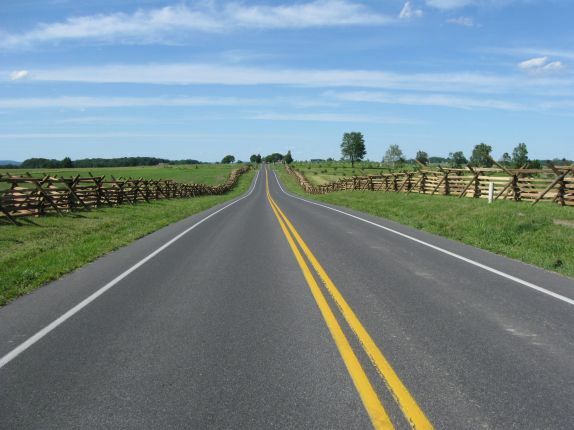 We will show you the Emmitsburg Road fences. 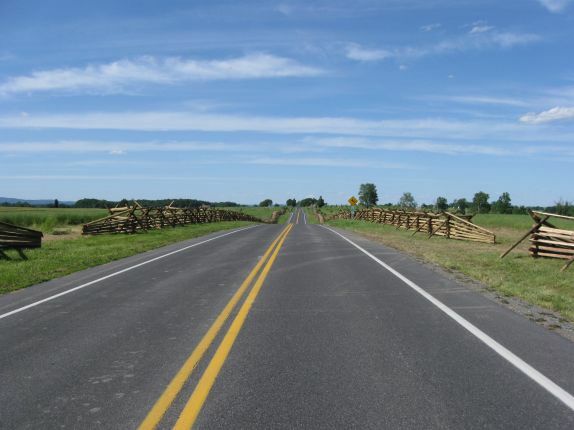 Last week, thousands of fence rails were lined up along the Emmitsburg Road and other locations in preparation for the Friends Workday last Saturday. The Rose House is in the left background. This view was taken facing east at approximately 5:00 PM on Tuesday, June 1, 2010. Last week flags had been placed along the road to mark the location of the fences… This view was taken facing northeast at approximately 5:00 PM on Tuesday, June 1, 2010. 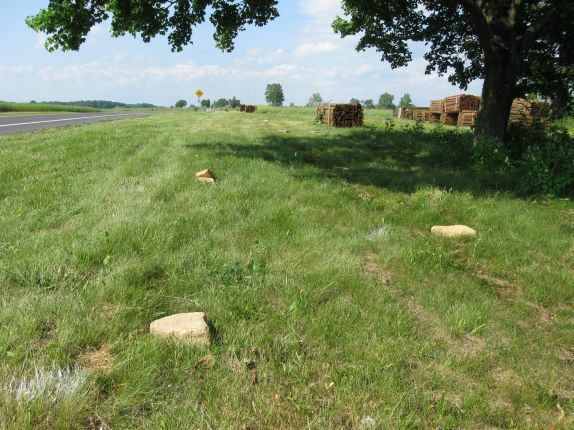 …and rocks were placed diagonally from each other. The rails of course, were to be laid upon the rocks. This view was taken facing northeast at approximately 5:00 PM on Tuesday, June 1, 2010. Like this. This view was taken facing east at approximately 4:45 PM on Tuesday, June 8, 2010. 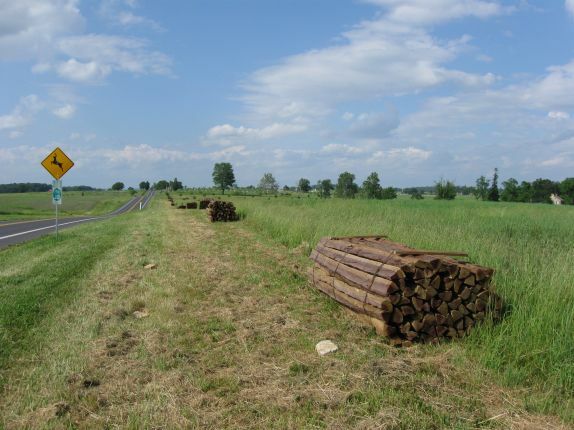 Hundreds of volunteers were needed to make these bundles of rails, stretching to the Peach Orchard… This view was taken facing northeast at approximately 5:00 PM on Tuesday, June 1, 2010. 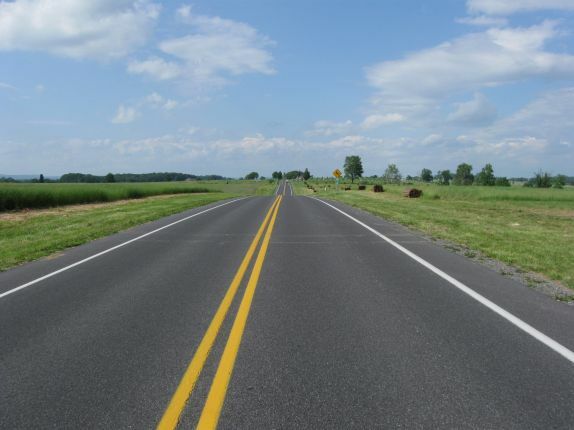 …on both sides of the road… This view was taken facing southeast at approximately 5:00 PM on Tuesday, June 1, 2010. …into fences. Big Round Top is in the background. There is also a new fence in the background running from the Rose Farm to behind (east of) the Samuel Bushman Farm. This view was taken facing southeast at approximately 4:45 PM on Tuesday, June 8, 2010. Time to get serious about the before and after pictures. Before… This view was taken facing northeast at approximately 5:00 PM on Tuesday, June 1, 2010. After. This view was taken facing northeast at approximately 4:45 PM on Tuesday, June 8, 2010. Before. This view was taken facing northeast at approximately 5:00 PM on Tuesday, June 1, 2010. 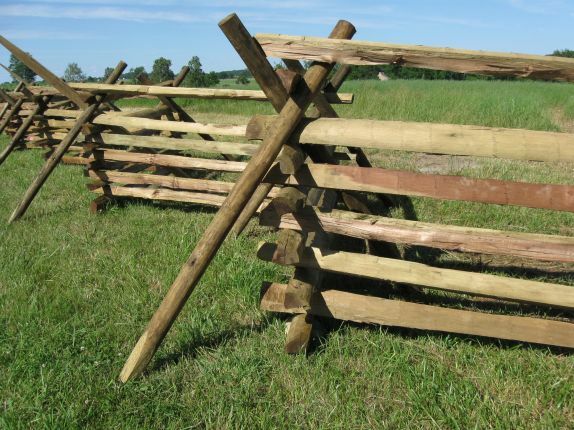 As we have stated before in a couple of posts, there are several types of fences/walls in Gettysburg National Military Park. 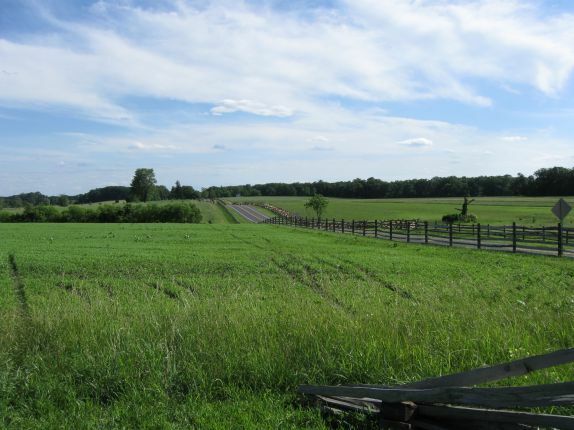 Two of the most common are the post and rail fences, shown here in our view from the Peach Orchard, looking back down the Emmitsburg Road. 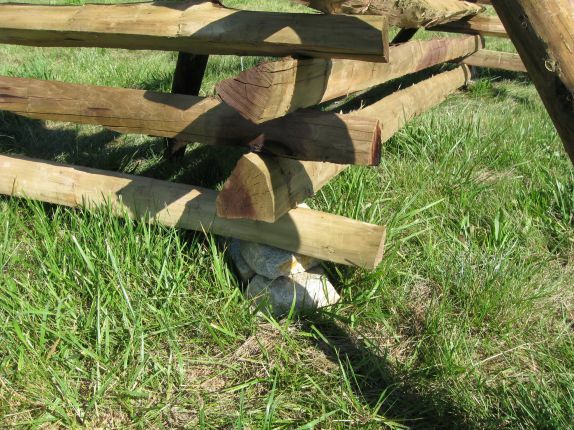 Post and rail fences are considered to be sturdier fences because the posts are placed in holes dug in the ground. 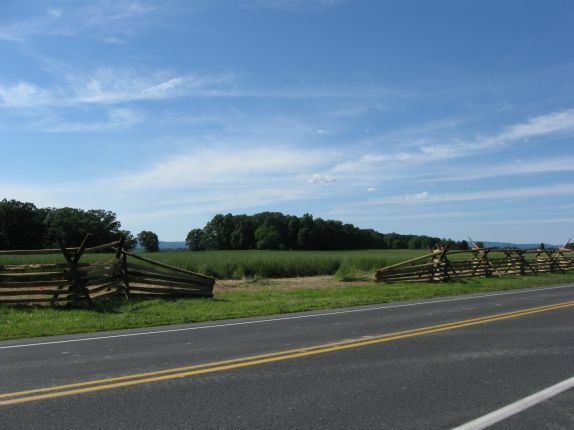 Post and rail fences are very common in the Pickett’s Charge area, farther north on the Emmitsburg Road. This view was taken facing southwest at approximately 4:45 PM on Tuesday, June 8, 2010. 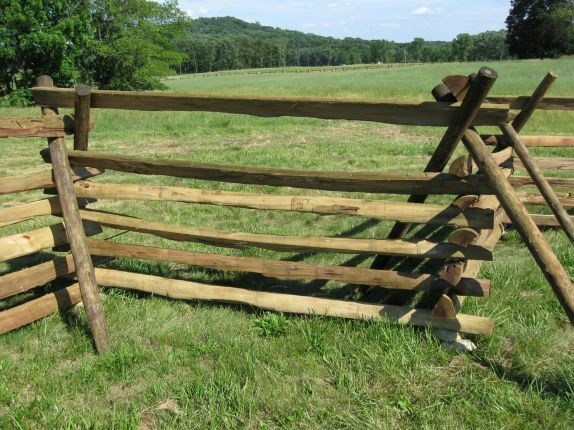 These “Virginia Worm Fences,” or “Sawbuck Fences” were constructed for a couple of reasons. 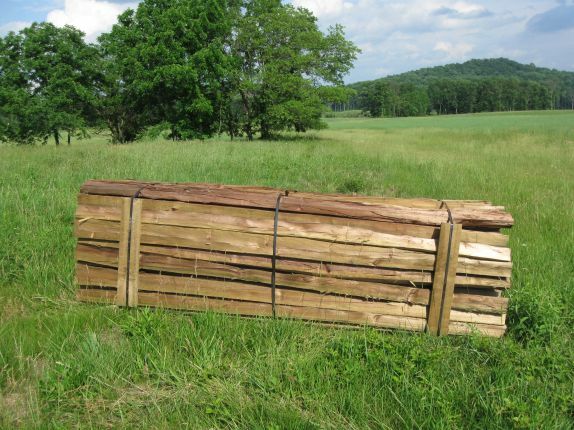 First speed might have been a necessity, and the farmer didn’t want to take the time to dig all the post holes as he would have to for the post and rail fences. This view was taken facing northeast at approximately 4:45 PM on Tuesday, June 8, 2010. A second reason is that the ground might have been too rocky for digging, and thus the rails were rested on top of the ground. The zig zag design of how the fences were constructed, and these larger cross posts would give the fence stability. This view was taken facing northeast at approximately 4:45 PM on Tuesday, June 8, 2010. Gaps have now been left in the fences. 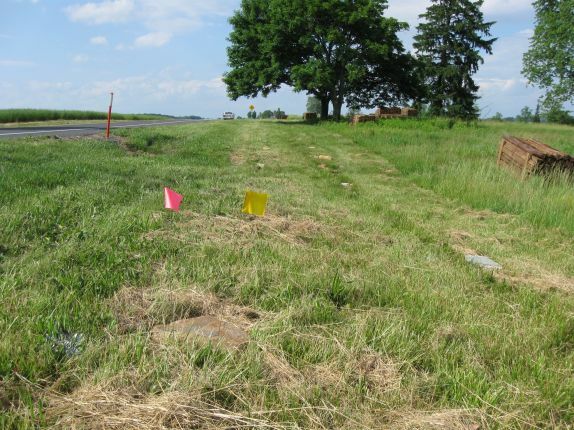 Not only for the vehicles that assisted with the fence building to maneuver from one side of the fence to the other… This view was taken facing northwest at approximately 4:45 PM on Tuesday, June 8, 2010. 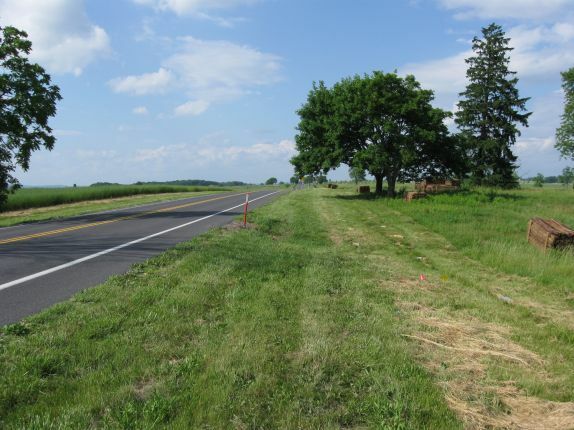 … but for National Park Service maintenance vehicles and the vehicles of farmers who lease the land to move more easily in this area. This view was taken facing northeast at approximately 4:45 PM on Tuesday, June 8, 2010. 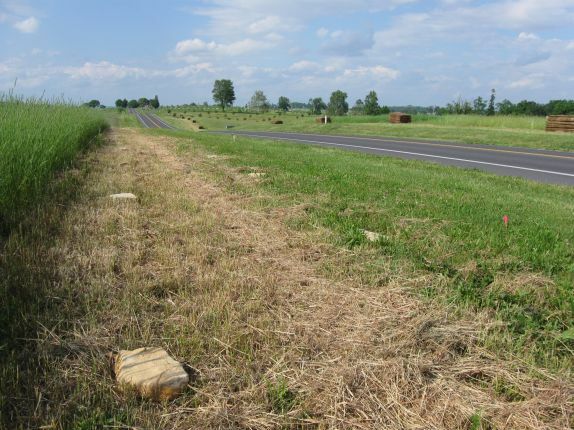 Another good job by the Friends of Gettysburg. This view was taken facing northeast at approximately 4:45 PM on Tuesday, June 8, 2010. 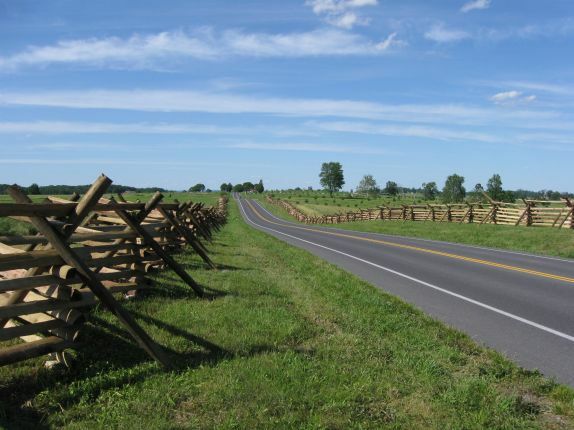 Over One Mile of Fences Constructed on the Pickett’s Charge Fields on June 8, 2008. 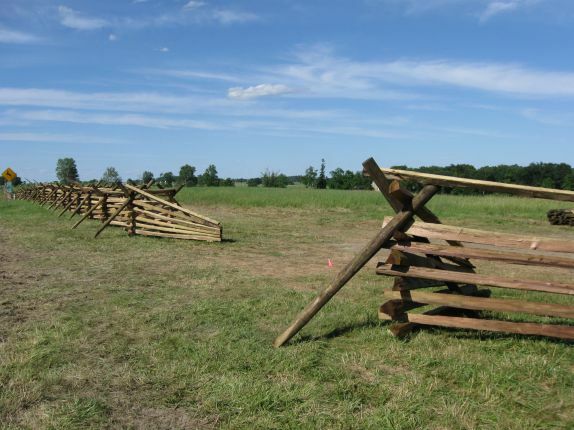 New Fences Block Easy Access to Well-Known Civil War Photograph Area on June 19, 2008. Peach Orchard and Millerstown Road Fence Updates on April 29, 2009. 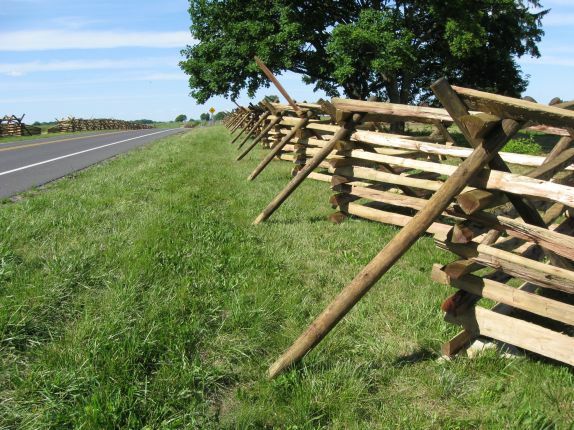 Historic Long Lane Partially Restored by NPS and Friends Fence Building Volunteers on June 9, 2009. Historic Long Lane Partially Restored and Now Partially Covered on October 24, 2009.